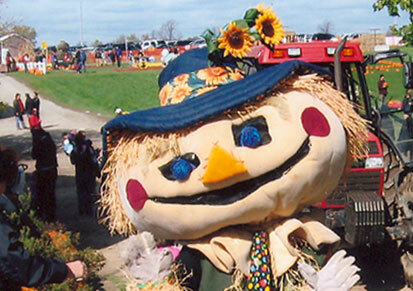 Bring the whole family back to the pumpkin farm this Fall for a weekend filled with fun! 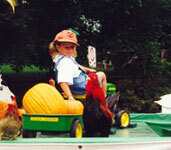 Take a scenic wagon ride along the edge of the Niagara Escarpment to the pumpkin patch to pick the perfect pumpkin. We also offer a wide selection of unique farm-themed activities that the whole family will enjoy! "After another visit to Dyments today I would just like to thank the Dyment Family and the hard working employees for the great work that they do. This is my families third year coming out to the pumpkin patch and the farm. My daughter has been coming since she was 10 months old and getting our pumpkins from there. The farm creates wonderful memories for us all. Your animals are all very friendly and affectionate, your staff all so courteous and the family is very very welcoming. I look forward to next year already." Please note: We are only able to accept cash in/at the farm. Farm Market continues to accept debit and credit cards. October 5th -27th, 2019 for family weekends (including Thanksgiving Monday). Our hours are 10:00 am - 5:00 pm. Attention: if there is inclimate weather during Pumpkin Patch, please call 905-628-5270 before making a trip out to the farm. The farm may close based on the weather. Put together your own group and save! You will receive a 10% discount on family-fun weekends when you have a group of 20 or more! Please note: Pumpkins, face painting, and food are not included in admission. For everyone's safety and comfort pets are not allowed on the farm.